Latest news and information on 3G, 4G, 5G wireless and technologies in general. Here are the interesting April Fools' Day 2017 Technology Jokes. If I have missed one, please add them in comments. For those who don't know what April Fools' Day means, see here. Google Windmill from Google Nederland: Interesting use of Wind and Cloud to keep Rain away. Amazon Petlexa (Alexa for Pets): It allows dogs, cats, and other animals to communicate with Alexa just like you do. The Petlexa feature gives pets the freedom to place orders from Amazon, and to activate smart home enabled toys. Google Play for Pets: A new category of games, apps and training tools to keep your pet stimulated. Honestly, I cant see why this cannot be real. Honda Horn Emoji's: Horn Emojis offer a range of horn sounds for a variety of scenarios, from seeing your kids off to school to commiserating with other drivers in rush-hour traffic. See video here. Honda has also launched In-car dating app to help lonely drivers find love at the wheel. More details here. 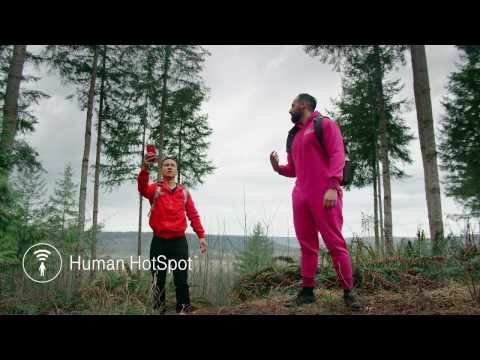 T-Mobile ONEsie: T-Mobile CEO John Legere has designed this Onesie and CTO Neville Ray has also participated in testing. Its got a lot of Amazing properties, including creating Human SotSpots. See videos here and here. Virgin Atlantic Dreambird 1417: World’s first-ever aircraft using new patented technology – flapology – to create the world’s first aircraft with flappable wings. Virgin Trains (UK) Tickink: Innovative new contactless ticket system, offering customers the opportunity to have their train ticket permanently tattooed on their body, preventing frequent passengers from ever losing their tickets again. Details here. Prysm Avatar: I quite like this concept. A work drone that enables you to reap the benefits of working from home, without sacrificing the interpersonal advantages of being in the office. Each drone is equipped with sophisticated sensors and a holographic projector that displays your likeness as a realistic, life-sized avatar. 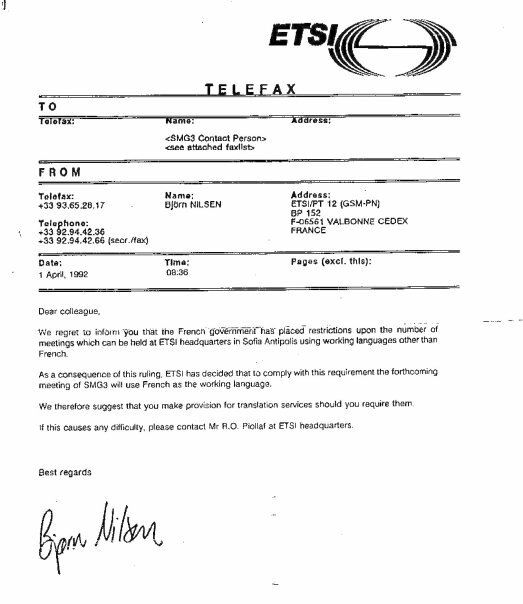 Telenor prohibits the word ‘Digital’ in all communication: There is a small chance this may be true ;-). See here. ETSI held their security week from 22-26 June 2015 at their headquarters. There are lots of interesting presentations (see agenda [PDF]); I am embedding some here. This is a good presentation providing a summary of the reasons for IoT security issues and some of the vulnerabilities that have been seen as a result of that. This presentation provides a good summary of the threats in the connected cars/vehicles which is only going to become more common. Some of these issues will have to be solved now before we move on to the autonomous vehicles in future. Security issues there will be catastrophic and many lives can be lost. The final presentation is from 3GPP SA3 that provides a quick summary of security related work in 3GPP. You can read more about this topic here. We all know that cars are getting smarter. Back in Oct., Google unveiled the cars that can drive by themselves. I am sure they will make our life much better and we will be able to catch on the sleep at early morning commute. Then there were quite a few futuristic cars at the CES 2011 last month. One such video is embedded below. Cars have been getting smarter for years, studded with suites of sensors and supporting electronics aimed at keeping them from crashing. But entertainment and convenience have rapidly caught up to safety as the impetus for new in-car electronics development. Because automakers typically spend three years developing and producing new cars—and new gadget candy to go with them—they’ve found themselves constantly playing catch-up with consumer electronics and consumer expectations. So car companies have teamed up with the makers of smartphone software platforms to integrate a spectacular array of apps designed for handsets with cars’ digital dashboards, center consoles, and speaker systems. Take for instance Ford’s new Focus all-electric vehicle, which made a big splash at the 2011 International Consumer Electronics Show in Las Vegas last month. It features a software application called MyFord Mobile. 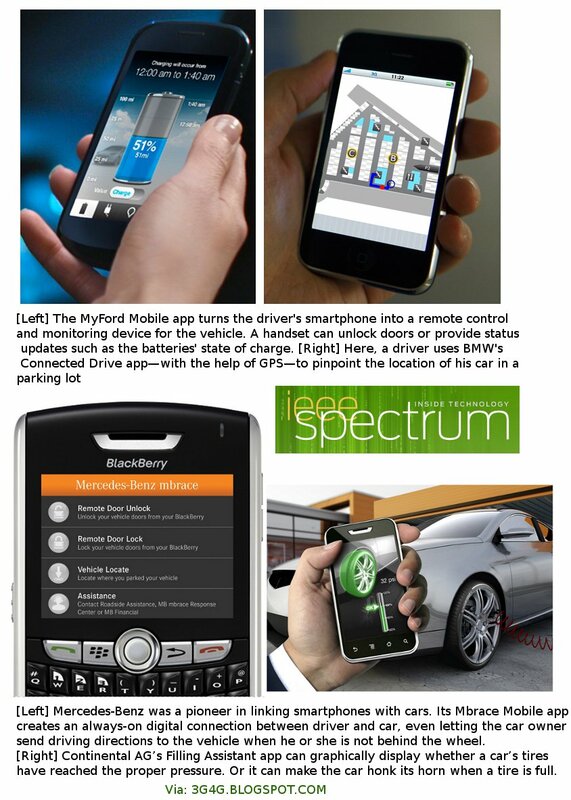 The app, which runs on Ford’s proprietary Sync platform and is compatible with the BlackBerry, iPhone, and Android devices, links the car with the driver’s smartphone and home computer. The software lets the driver listen to a smartphone’s music library and lets passengers watch movies or TV shows. It delivers information such as when electricity prices are at their lowest (to allow for the cheapest battery recharging) and where the nearest charging stations are. And it allows a smartphone to function as a remote control, by means of a connection to cloud-based servers. This remote communication lets the handset keep tabs on the car’s location and the batteries’ state of charge. It will also let the driver start the Focus EV from indoors on a blustery January morning, then step into a car whose seats and steering wheel are already warm. The MyFord Mobile app lets the driver remotely start the car, turn on the heater or air conditioner, or unlock the doors from anywhere in the world (including beneath the bedcovers). 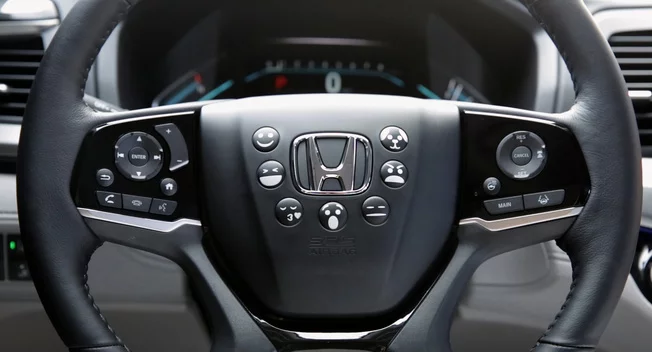 And because the system differentiates one driver’s key from another’s, it presents information on the reconfigurable 4-inch screens on either side of the speedometer in the current driver’s preferred color and style. The state of charge, for example, could be shown as a percentage of the full charge, as an estimate of the remaining miles before recharging, or as a simple bar that gets shorter as the batteries’ energy is consumed. This differentiation also works for utility and entertainment options; it automatically queues up driver A’s list of radio station presets, favorite mobile apps, and preferred display options for the 8-inch center console touch screen. 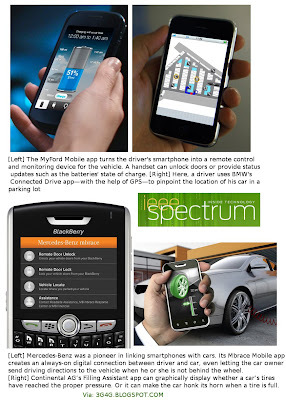 Because MyFord Mobile links the Focus to the driver’s handset, it can also access his or her contact list for hands-free calling and read out e-mails and texts through the car’s speakers. Ford is trying to position itself as a technological leader in the automotive industry with MyFord Mobile and Sync AppLink Voice Control, which puts the driver in control of all the Sync system’s capabilities via voice commands, but it has stiff competition from the likes of Mercedes-Benz, Continental, and Toyota. Launched by Mercedes-Benz in November 2009, the Mbrace system, designed and engineered by Hughes Telematics of Atlanta, was the first telematics service on the market to give smartphones the power to remotely lock, unlock, or locate a car. It didn’t signal a revolution in the way the average driver interacts with his or her vehicle because when the German luxury vehicle maker offers a new technology or set of features, there is usually a multiyear wait for them to trickle down to cars whose sticker prices aren’t stratospheric. The second generation of Mbrace debuted last September. It introduced Mercedes-Benz Concierge, which not only opens the car to information from the outside but also makes some car-based information and entertainment options portable. The Mbrace Mobile Application 2.0 gives iPhone and Blackberry users single-phone-number access to recommendations for nearby entertainment and restaurant options, directions, traffic updates, and more, whether the person is in the car or not. The concierge then sends destination information to the smartphone or directly to the in-vehicle navigation system. With the Mbrace system’s latest wrinkle, the Drive2Friend service, the driver can dictate a friend’s mobile number and the app sends a text message reporting that the driver is trying to find the person. The friend has the option of allowing his or her location to be sent back to the car via cellular triangulation. While Ford was showing off its wares at CES, Continental was also there showcasing the Android-based AutoLinQ system, which lets the driver connect to the car in three ways. AutoLinQ’s Mobile View lets you to send text messages to your car; the smart vehicle can text you back with information such as its location. In this demo [Flash video], a smartphone user is shown making a remote inquiry about the status of his car. Mobile View reports that the sunroof is open and offers the option to close it or ignore the warning. When he taps Close on the handset’s touch screen, the sunroof’s glass panel glides shut. This type of call-and-response vehicle update also tells whether doors are closed and locked and whether the headlights or interior lights are on. Mobile View doesn’t wait for a query to alert the driver when the alarm is triggered, the battery is depleted, the air bag has been activated, or the internal temperature of the car is too high or low. And like MyFord Mobile, it turns the smartphone into a remote control for locking and unlocking the doors, starting the engine, flashing the lights, and more. AutoLinQ’s Home View lets you download apps and configure vehicle settings from your home computer. Clickable tabs at the bottom of the Home View screen let the car owner move through screens showing a wealth of data on the car’s status, driver preferences, navigation information, and applications that can be downloaded or fine-tuned. The status menu tells whether the ignition is on and displays the fuel and motor oil levels, the pressure for each of the four tires, and much, much more. Car View, in AutoLinQ, is for updating features from the driver’s seat. Car View provides the same information as Home View but lets the driver use the center console touch screen to download apps on the fly that provide better control of the car and the ability to remotely manipulate electronic devices back home. An app that sends an alert when a game or match in the driver’s favorite sport is about to appear on television also gives the option to activate a digital video recorder at home, pull up a Web site featuring periodic updates about the game, or listen to play-by-play on the radio. Continental is also designing unique apps that will enhance vehicle performance. For instance, the Filling Assistant will detect underinflated tires and notify the driver. When the driver goes to inflate the tires, the Filling Assistant will report pressure information to the driver’s smartphone and honk the car’s horn or flash its lights to indicate when a tire has enough air. Not to be left out, Toyota, the world’s leading automaker, debuted the QNX-based Entune at CES 2011. Entune is an upgradable suite of entertainment, navigation, and information functions. "Consumers have grown accustomed to having the world at their fingertips through their mobile phones," says Jon Bucci, vice president of Toyota’s advanced technology department, who notes that putting them in the car is a natural evolution. After downloading the Toyota Entune app to a handset and syncing it with the Toyota vehicle, the driver can begin accessing content and services, including Bing for Web navigation and OpenTable, which can make reservations at any one of 15 000 restaurants, with directions sent seamlessly to the navigation system and information appearing on the center console. Entune also lets a driver get customizable real-time traffic updates, sports, weather, stocks, and information on prices at local fueling stations. The system doesn’t forget music, which has almost always been a part of the driving experience. Entune includes Iheartradio, which delivers roughly 750 local radio stations at the touch of a button. The tide of apps extending handset capabilities to cars will only continue to rise. ABI Research, in Oyster Bay, N.Y., reports that the number of users of automotive apps will increase from 1.4 million in 2010 to more than 28 million by 2015. And according to Global Industry Analysts, the vehicle telematics market is expected to reach US $11.2 billion by 2015. In other news, Robots in future will have their own Internet and content like Wikipedia, etc. Does anyone else remember 'The Terminator'?